The Market Cart starts in late May or early June and runs through late October, on Fridays from 12 noon - 6 pm. The Market Cart is located at the base of the UCSC campus (corner of Bay & High Streets). The Community Supported Agriculture (CSA) project offers shareholders a box of fresh organic produce each week. Shareholders are also welcome to harvest from the CSA herb and flower garden at the UCSC Farm. The UCSC Farm also provides produce to the Organic Produce Pop-Up stands during the academic year, and sells produce directly to campus dining halls as part of the campus's Farm to College program. Check the Events page for a schedule of Produce Pop-Ups. Organically grown flowers from the UCSC Farm and Chadwick Garden can be purchased for weddings and other events. If you're interested in purchasing flowers, please see the Flower Sales page. Organically grown annual and perennial plants from the UCSC Farm & Garden are available at the Spring Plant Sale, which takes place the last weekend of April or first weekend of May. Please check the Events page for dates and times of upcoming sales. 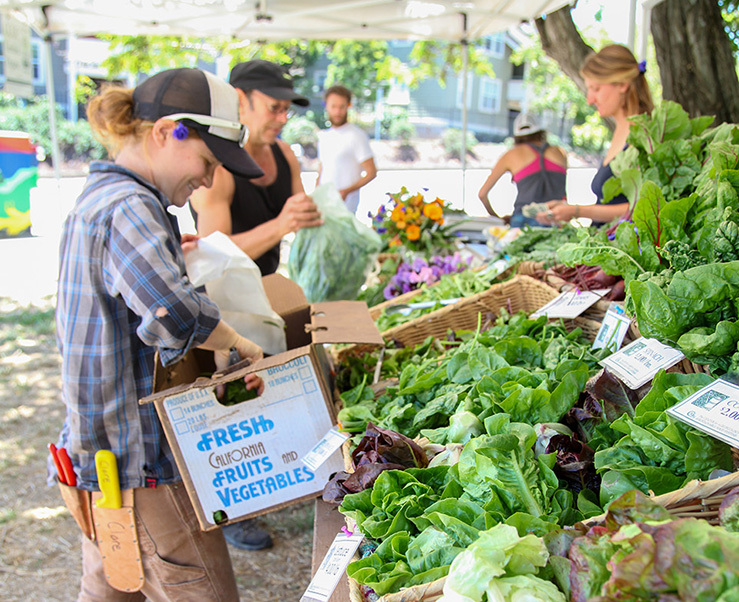 Proceeds from produce, flower and plant sales support the UCSC Farm & Garden facilities, and the Center's Apprenticeship training course in organic farming and gardening.